Let AFJ be crystal clear on a subject where these men are opaque: Waterboarding is a torture technique that has its history rooted in the Spanish Inquisition. In 1947, the U.S. prosecuted a Japanese military officer for carrying out a form of waterboarding on a U.S. civilian during World War II. Waterboarding inflicts on its victims the terror of imminent death. And as with all torture techniques, it is, therefore, an inherently flawed method for gaining reliable information. In short, it doesn’t work. That blunt truth means all U.S. leaders, present and future, should be clear on the issue. It wouldn't be the first time Google caved to a government that suppresses human rights. No proof of that in this case, but YouTube's suspension of an account registered to a prominent anti-torture activist in Egypt is sure to please Hosni Mubarak (YouTube is owned by Google). "They closed it (the account) and they sent me an e-mail saying that it will be suspended because there were lots of complaints about the content, especially the content of torture," Abbas told Reuters in a telephone interview. Abbas, who won an international journalism award for his work this year, said that of the images he had posted to YouTube, 12 or 13 depicted violence in Egyptian police stations. I wonder who was complaining? Rights activists said by shutting down Abbas's account, YouTube was closing a significant portal for information on human rights abuses in Egypt just as Cairo was escalating a crackdown on opposition and independent journalists. The Internet has emerged in Egypt as a major forum for critics of the Egyptian government. "The goal is not showing the violence, it is showing police brutality. If his goal was just to focus on violence without any goal, that is a problem. But Wael is showing police brutality in Egypt," said Gamal Eid, head of the Arabic Network for Human Rights Information. "One of the things that kept us going when I was in prison in North Vietnam was that we knew that if the situation were reversed, that we would not be doing to our captor what they were doing to us." McCain is alone among the candidates for the GOP nomination. Macho posturing is in, experience -- real, actual experience -- not so much. 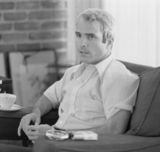 A few days later, in New Hampshire, Mr. McCain was asked about reports that Khalid Shaikh Mohammed, the mastermind of the Sept. 11 attacks, was made to give up vital information only after being waterboarded. Mr. McCain said he did not believe that to be the case. While the C.I.A. might have left that impression, he said, the F.B.I. disagreed. It has also been reported that Mr. Mohammed “confessed” to plotting to kill former Presidents Bill Clinton and Jimmy Carter as well as Pope John Paul II, leading interrogators to believe he was telling them whatever he thought they wanted to hear. It'll be a sad day when Republicans choose Rudy or The Anchorman over McCain. Either we get the nominees we deserve, or the system is broken. I say both. Damn those activist judges! You might consider them a modern nuisance, but you're wrong. And don't think they're restricted to liberal enclaves like San Francisco and Vermont. I mean, who would've thought the Mississippi Supreme Court, circa 1926, would be beholden to the MoveOn.org crowd? In a case called Fisher v. State, 110 So. 361, 362 (Miss. 1926), Mississippi's highest court ordered the retrial of a convicted murderer because his confession was secured by a local sheriff's use of the water cure. The state offered . . . testimony of confessions made by the appellant, Fisher. . . [who], after the state had rested, introduced the sheriff, who testified that, he was sent for one night to come and receive a confession of the appellant in the jail; that he went there for that purpose; that when he reached the jail he found a number of parties in the jail; that they had the appellant down upon the floor, tied, and were administering the water cure, a specie of torture well known to the bench and bar of the country. A state that, at the time of this decision, routinely lynched black people still considered waterboarding torture. Bush calls it an enhanced interrogation technique. Anyone care to rationalize the disconnect? After confessing to slaughtering 180,000 Kurds and plotting to build a doomsday nuke, Iraqi dictator Saddam Hussein was so upset when his FBI interrogator left for home that he cried like a baby. FBI Special Agent George Piro whipped out two Cuban Cohibas - Saddam's favorite cigar - and they smoked on the patio behind his cell at Baghdad's airport. "When we were saying bye, he started to tear up," Piro recalled in the new book "The Terrorist Watch: Inside the Desperate Race to Stop the Next Attack." Piro, then 36, began grilling Saddam in early 2004. Instead of bright lights, loud music or waterboarding, the Beirut-born Arabic speaker - who immigrated to the U.S. as a teen - built a rapport with the dictator nabbed in a spider hole. He treated him with respect and took care of his every need. McCain is, of course, opposed to torture and its Bush-inspired euphemism. That message is warmly received by vets and the enlisted. Yet its condemned by the neocons and talk radio hosts who share a lack of military service in common. The majority of Republicans say they support the troops, but do they listen to what they have to say? "That's not the kind of country America is," MCain told a gathering of about 30 residents at the cafe in Allison, a north central farming town of 1,000 people. The U.S., he said, should take the high ground "and not do the kinds of things its enemies do." Bush: “…See, that side of the war never got — the fact that we treated those people with respect in spite of the fact they were the enemy, it’s really good. Did you ever think you'd be nostalgic for GHWB? As Crooks and Liars points out, such views would have Bush 41 branded a coward if he were running for president today. "The United States participated actively and effectively in the negotiations of the Convention [Against Torture]. It marks a significant step in the development during this century of international measures against torture and other inhuman treatment or punishment. 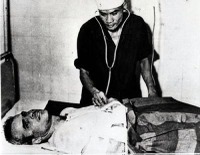 Ratification of the Convention by the United States will clearly express United States opposition to torture, an abhorrent practice unfortunately still prevalent in the world today." Seems to me "other inhuman treatment or punishment" = coercive interrogation techniques. If you favor such aggressive methods, at least be willing to damn the euphemism. Continuing today's theme -- bashing untrustworthy, pandering automatons -- I return my attention to The Anchorman, whose new national security adviser is an enthusiastic supporter of torture. In announcing the appointment of Marks, the Romney campaign put out a press release emphasizing his "more than three decades of experience in the intelligence field." But according to CNN, Marks also is a teacher of "interrogation. Romney's calculation (every move The Anchorman makes is calculated): Christian conservatives support torture. I need Christian conservatives. Thus I'm going to be the standard bearer for torture, er, enhanced interrogation techniques. Romney has already said he'd "double Guantanamo." His spokesman said that while the former Massachusetts governor opposes torture, he supports the euphemism. FOREMAN: ...So in your experience and in your view, torture as a policy should be against the law? To summarize, Mitt Romney is for torture even though he's against it.